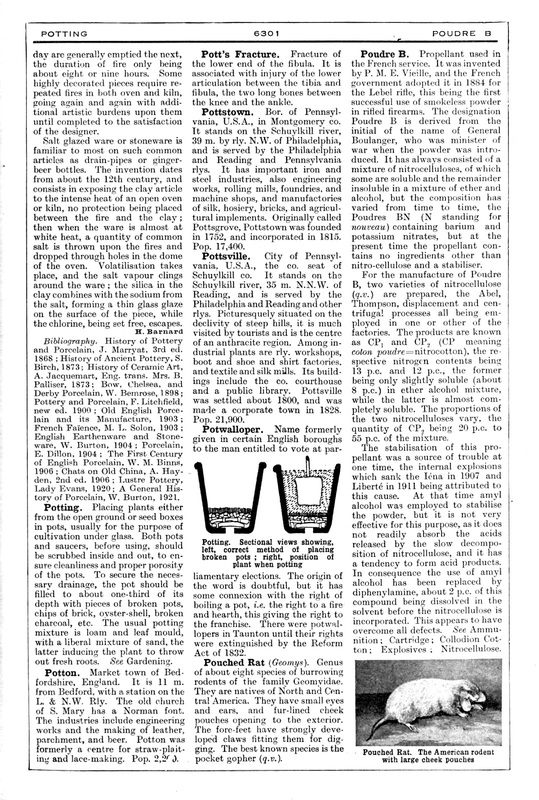 This is where it all started for me: an article in Harmsworth’s Universal Encyclopaedia. It was my father’s, and on rainy days in the school holidays I would browse in it. The encyclopaedia was published by Lord Northcliffe, the newspaper magnate who founded the Daily Mail, and was edited by John Hammerton. 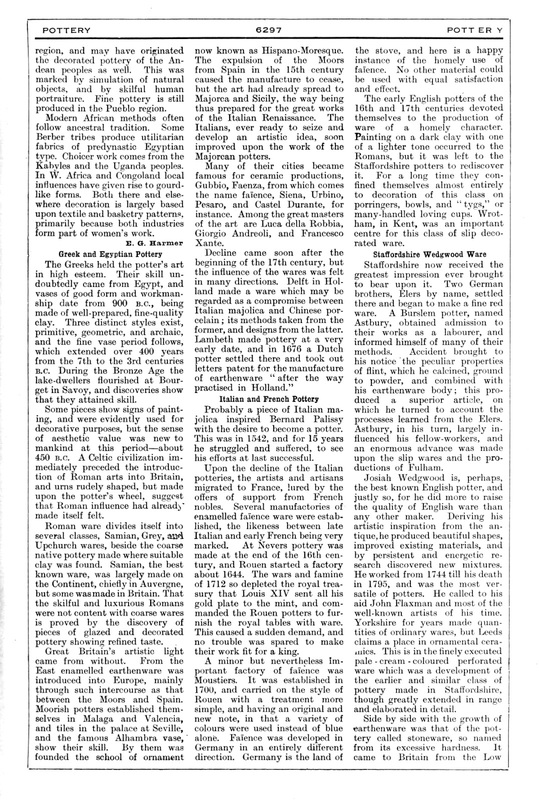 It first came out as a fortnightly serial, then in a twelve-volume edition in 1922. 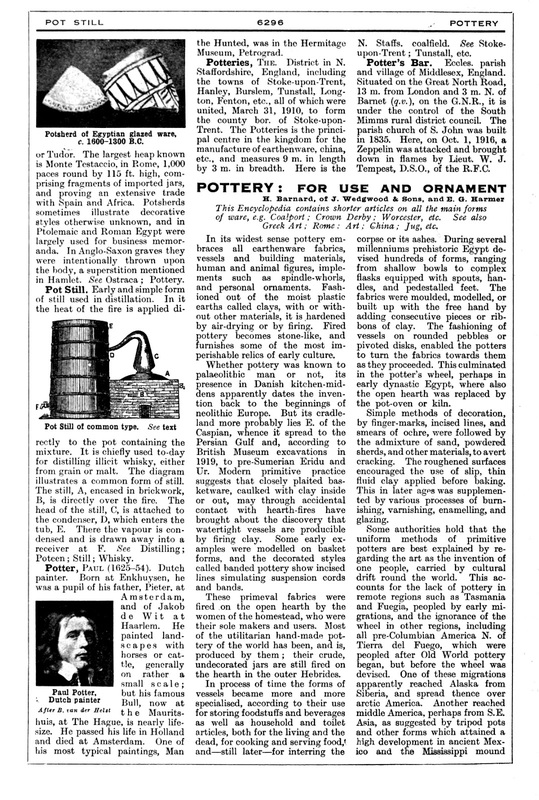 There were articles about First World War soldiers, with stiff studio photos, colour plates showing flags of all nations, philosophical essays on Aristotle and Plato, and this article, Pottery: For Use and Ornament, written by H.Barnard and E.G.Harmer. Hammmerton edited many reference works but was proudest of the Universal Encyclopaedia, which sold twelve million copies in the English-speaking world and was translated into six languages. 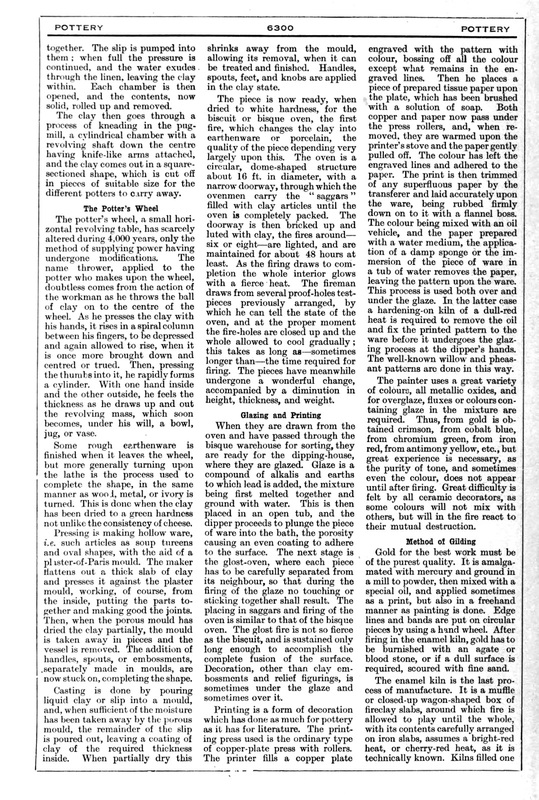 Barnard worked for Wedgwood, and at the time he wrote this article was curator of the Wedgwood Museum. I first read it when I was about nine. Barnard’s historical survey went over my head, but Harmer’s technical account interested me. I went out into the garden, smashed a flowerpot to dust, mixed it with water and wondered why I couldn’t make it into clay again. (In case you’re wondering, at 573 degrees Celsius an irreversible physical change occurs in the quartz that is part of the clay.) This interested was stimulated by the 3-minute film of The Potter’s Wheel that BBC TV put on at the time, to cover the gap between programmes. I had a passing interest in pottery when I did A-level art, but it wasn’t taught. There was a kick wheel in the art room, a stand-up wheel with a treadle. You balanced on one foot and kicked the treadle with the other, rocking backwards and forwards all the time. In this attitude you were supposed to make something. These wheels were designed to put beginners off pottery. They are still being made for reasons impossible to guess. From the school library I borrowed Practical Pottery and Ceramics by the ceramist Kenneth Clark, a useful, modernist introduction. Then I went to Keele University, near the north Staffordshire potteries, and learned to work in clay in a studio in the univesity. Now it’s possible to read Harmsworth’s online, and I discovered Barnard and Harmer again, where it all began. 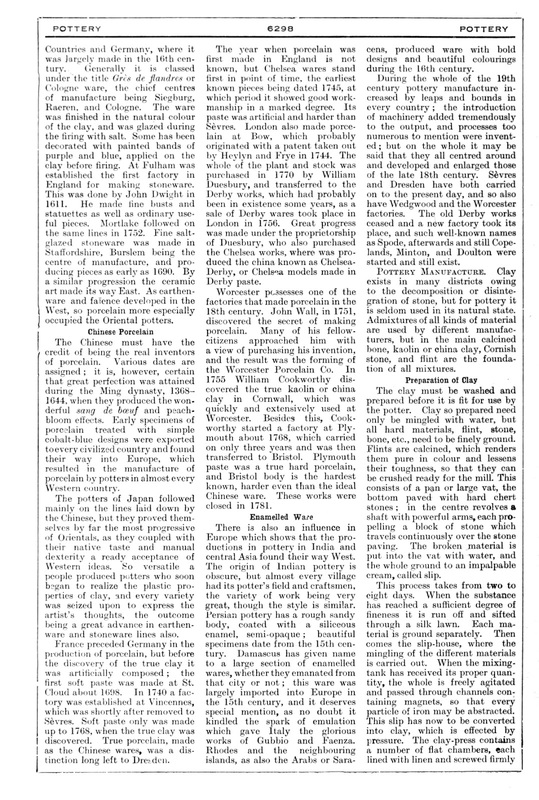 The article is a very good summary and stands up well after ninety years. I too remember the Encylopedias with their old-fashioned yet appealing brown covers. What happened to them, I wonder? 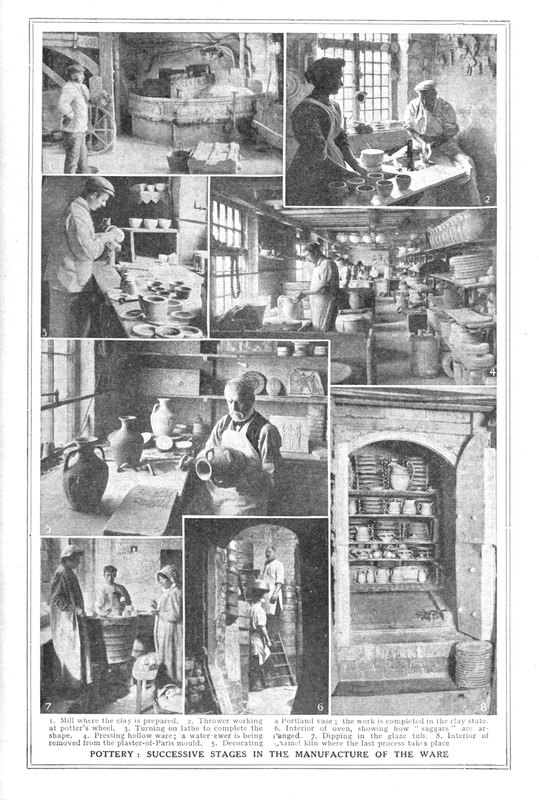 This is a great article and photos reminded me how much I enjoyed my visit to the Gladstone Pottery Museum last summer – I went twice in fact it was so good. We had a standup kick wheel at school – i never mastered the electric one, it was always in charge of me and not vice-versa.